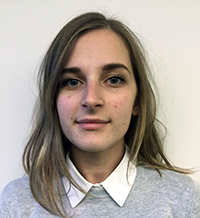 Tamara Tubakovic is a PhD candidate in the School of Social Political Sciences, the University of Melbourne. She holds a Bachelor of Arts (Honours, First Class) from the University of Melbourne. Tamara's doctoral thesis Responsibility Sharing on Refugees: An Analysis of Policy Change to the Dublin System, analyses the way in which the EUs institutional decision-making framework has hindered concrete and durable solutions to the challenges of asylum distribution in the EU. In 2018 Tamara was a visiting postgraduate research fellow at the Refugee Studies Centre at the University of Oxford. In 2017 Tamara conducted an internship at the Royal Institute for International Relations (Egmont) in Brussels. In 2016 she was awarded a graduate fellowship at the European University Institute in Florence, Italy. Tamara has research expertise in EU integration, policy making processes and the development of the EUs asylum policy. Tamara has tutored in the undergraduate subject European Integration: The Politics of the EU, and has given guest lectures on immigration and asylum issues in the EU in International Affairs (Master of International Relations, the University of Melbourne) and on regional refugee challenges in Comparative Regional Governance (Master of International Relations, the University of Melbourne).